G'day mate! 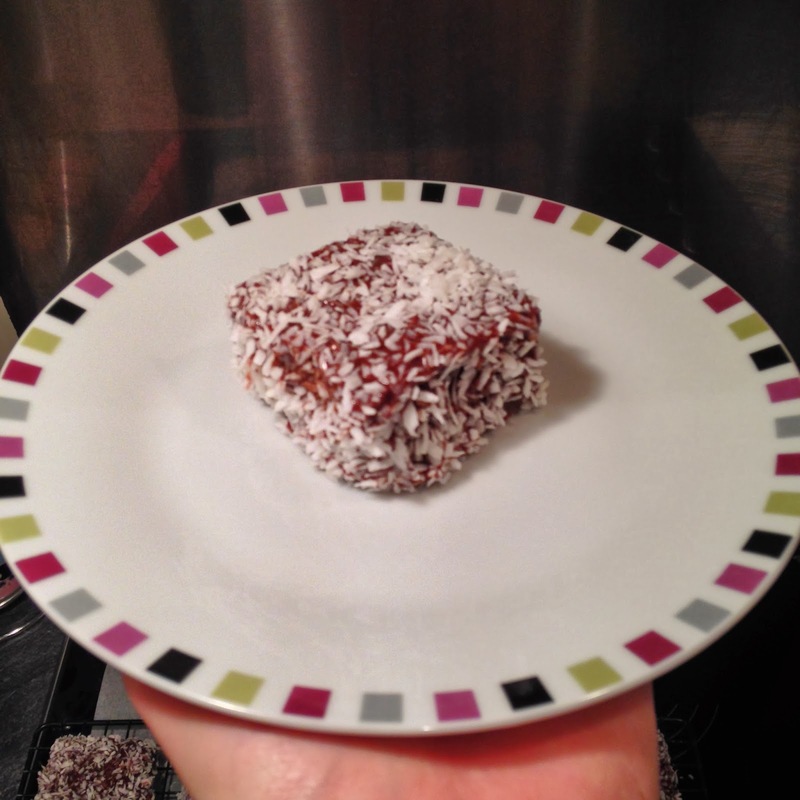 It's week four of the Reddit 52 Week Baking Challenge, and this week we are celebrating Australia Day. 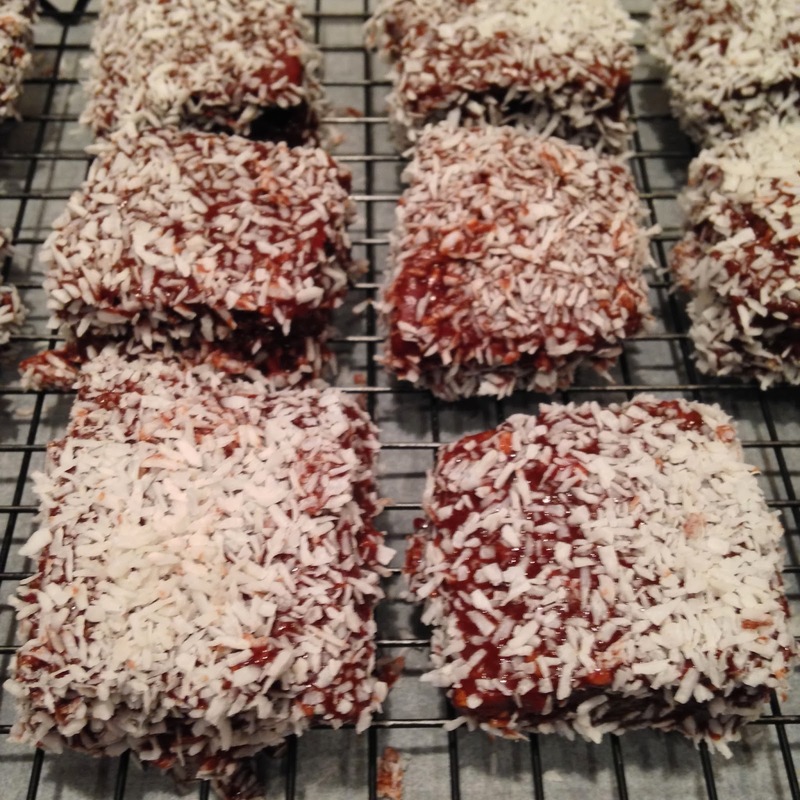 Honestly, I didn't have a clue where to start with this one, so played it safe and went with one of the suggested bakes - Lamingtons. According to my mum, they used to talk about them all the time on Neighbours. Who knew? Settle in folks, this is a long one. A quick Google brought me to this recipe and, for once, I have followed it (almost) to the letter. 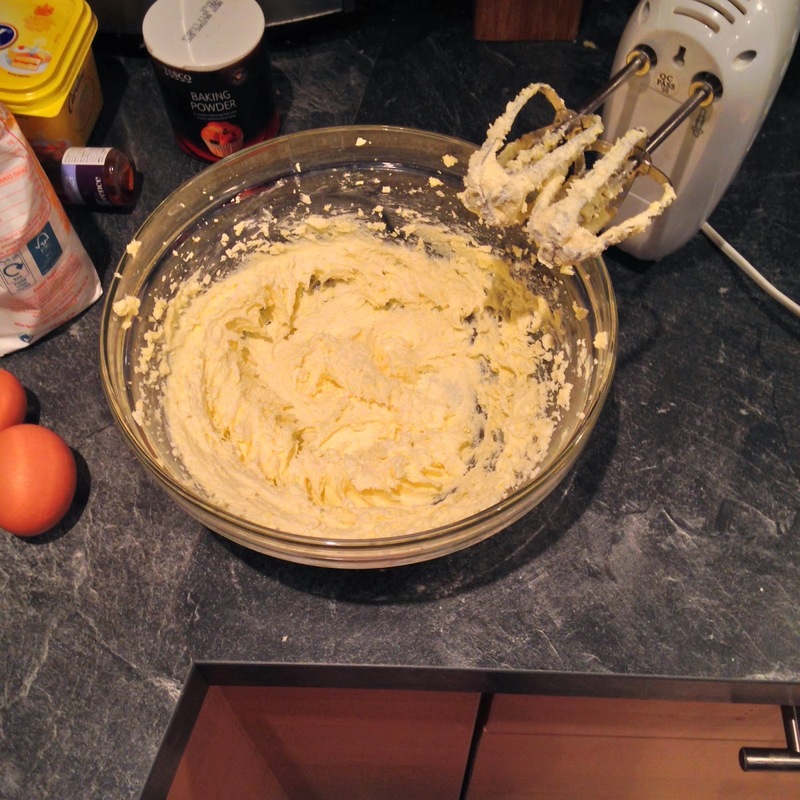 Flour, sugar, butter, eggs (I forgot to put them in the picture), baking powder, milk, vanilla extract and salt. 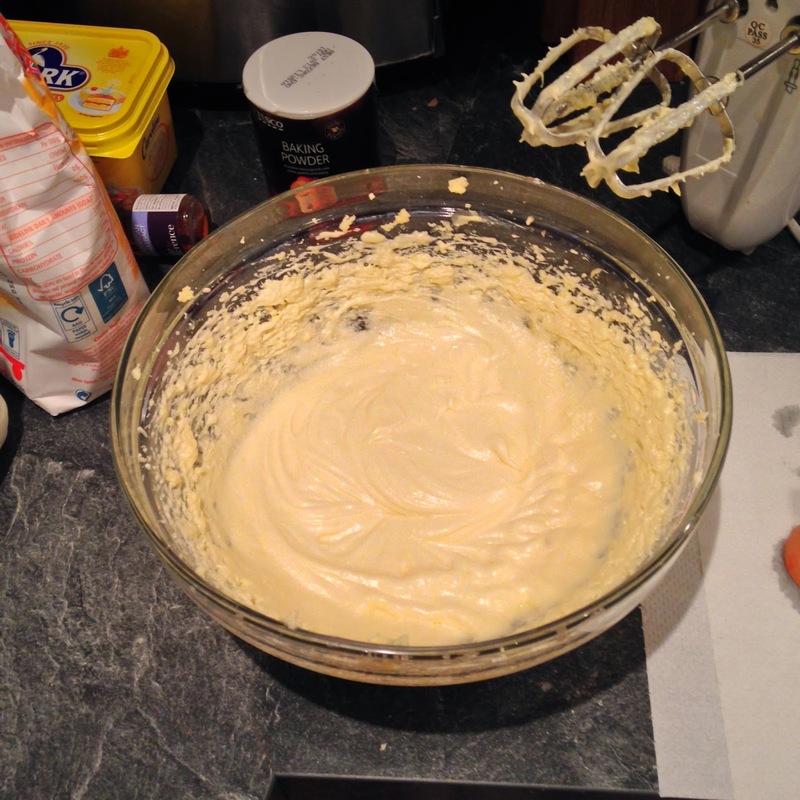 Fairly standard cake stuff. 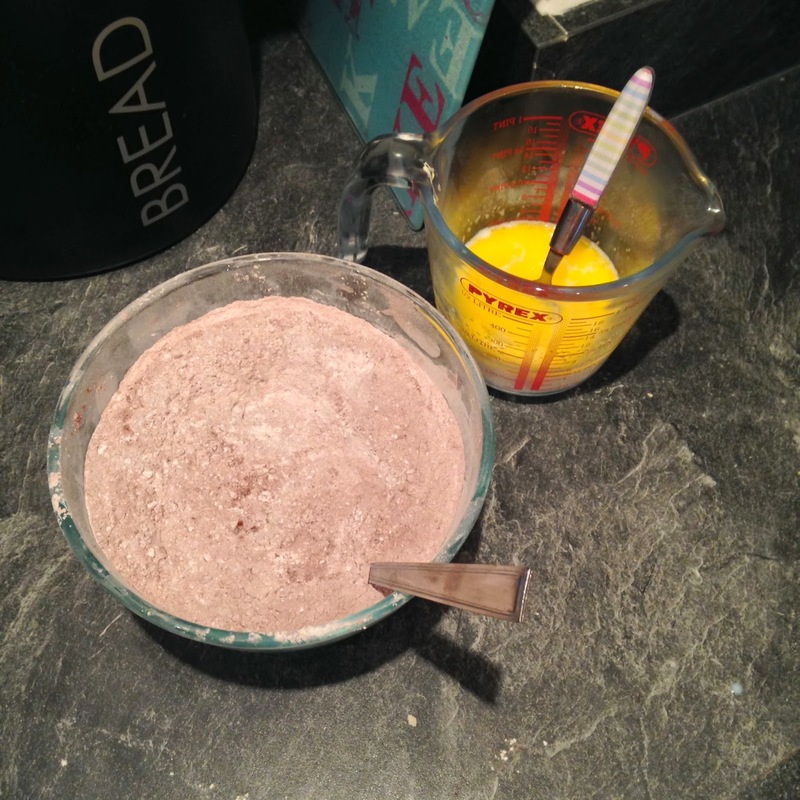 Greased and floured tin. I've never done that before, usually grease and line. 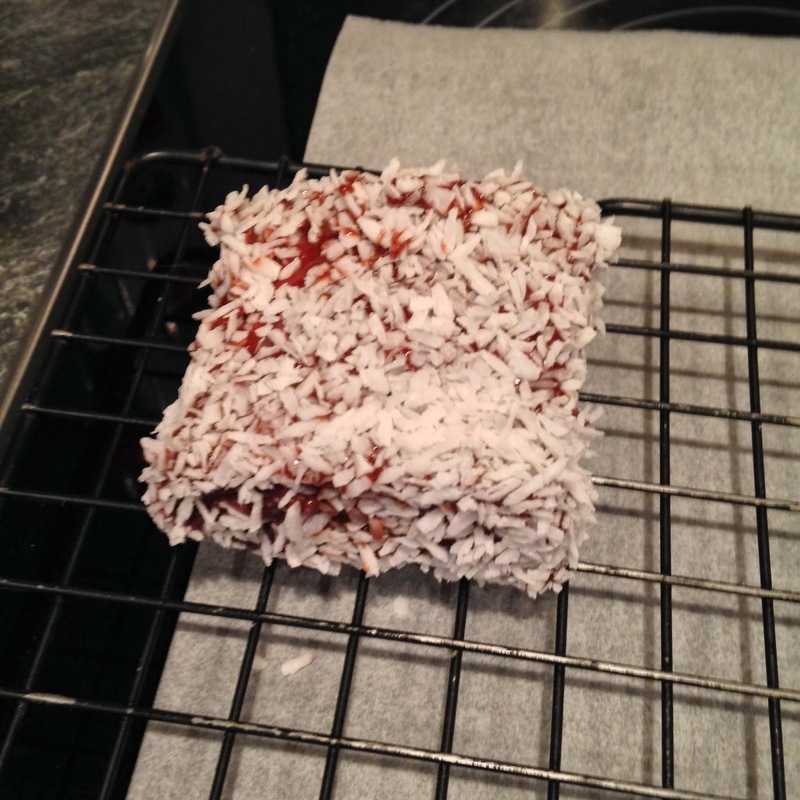 But then I've never made Lamingtons before either. 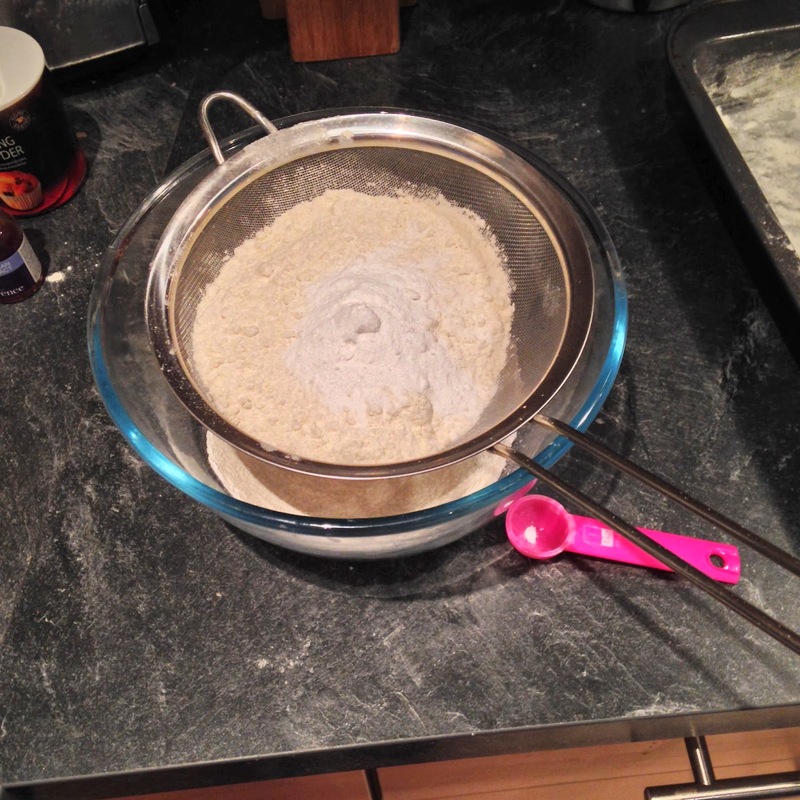 Sifting the flour, baking powder and salt. 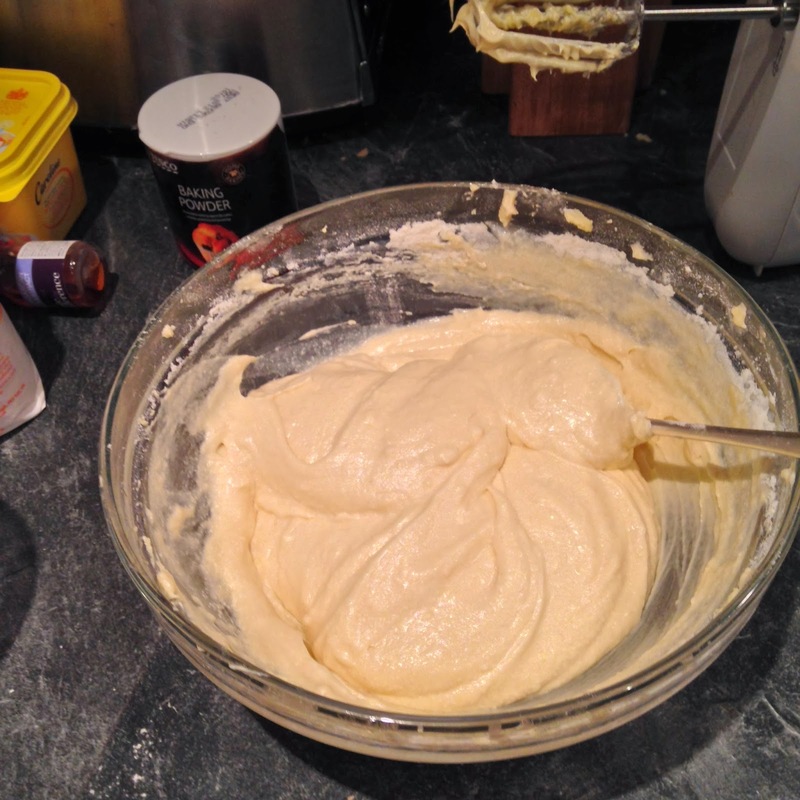 In a different bowl, cream the butter sugar and vanilla extract. 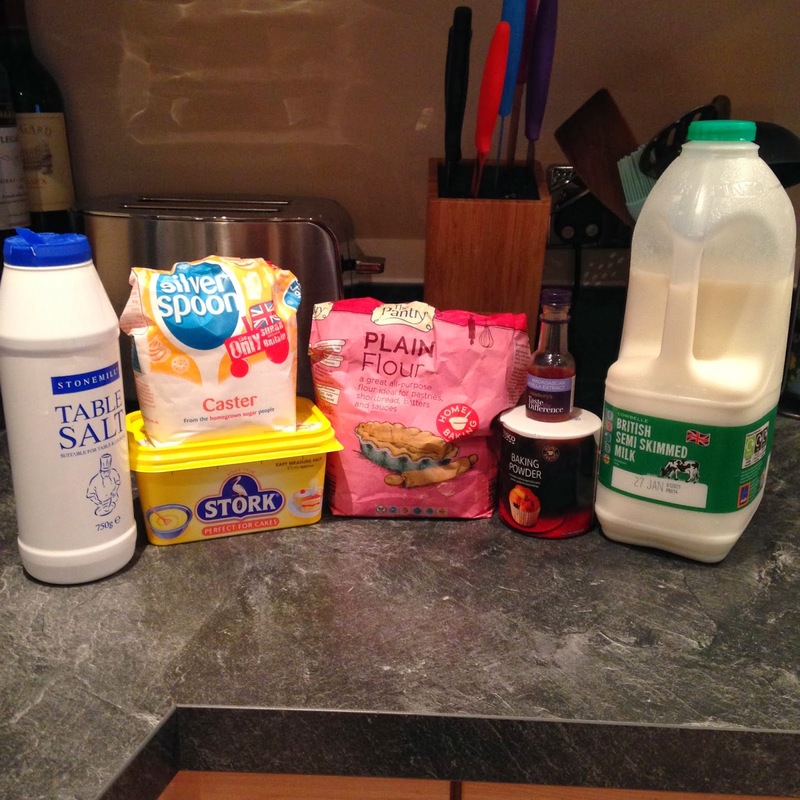 Then alternate between milk and the flour mixture until it's all combined. 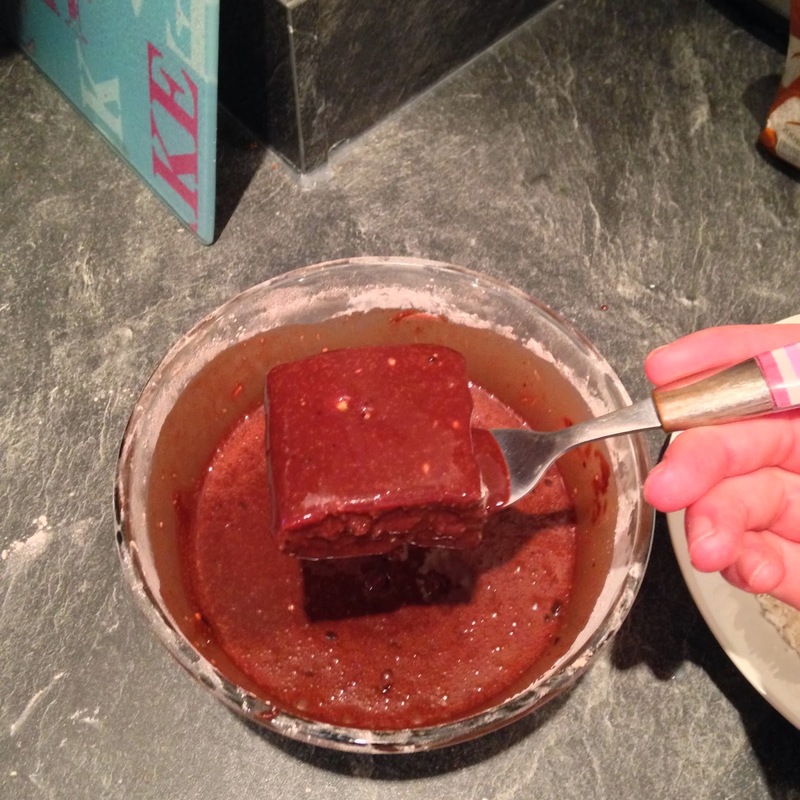 Pour it into the pan and stick into a preheated 190 degree oven for about half an hour. 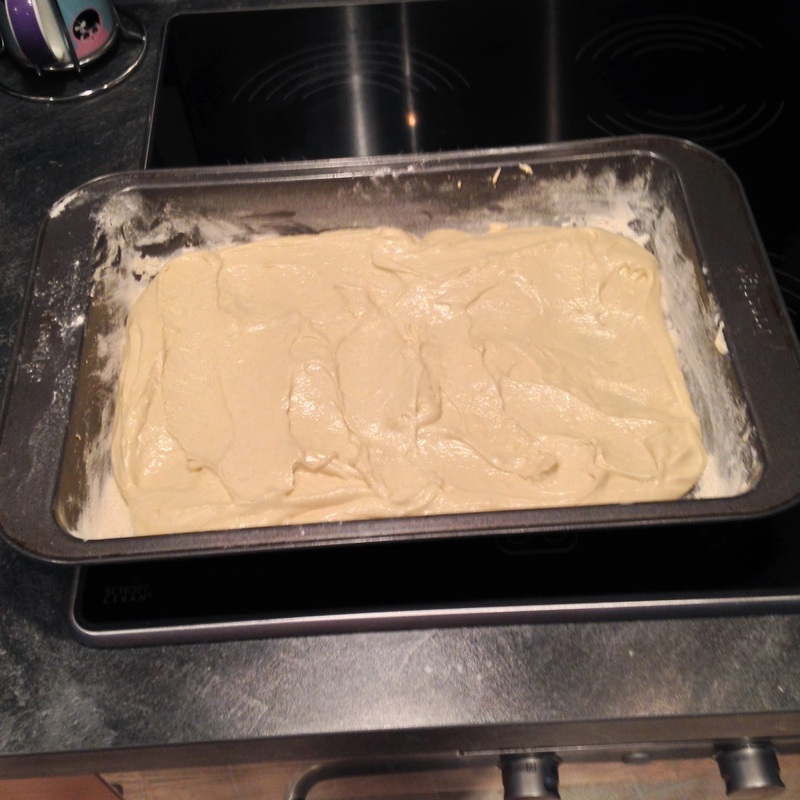 I was worried that it hadn't risen very much, but it was just right in the end. 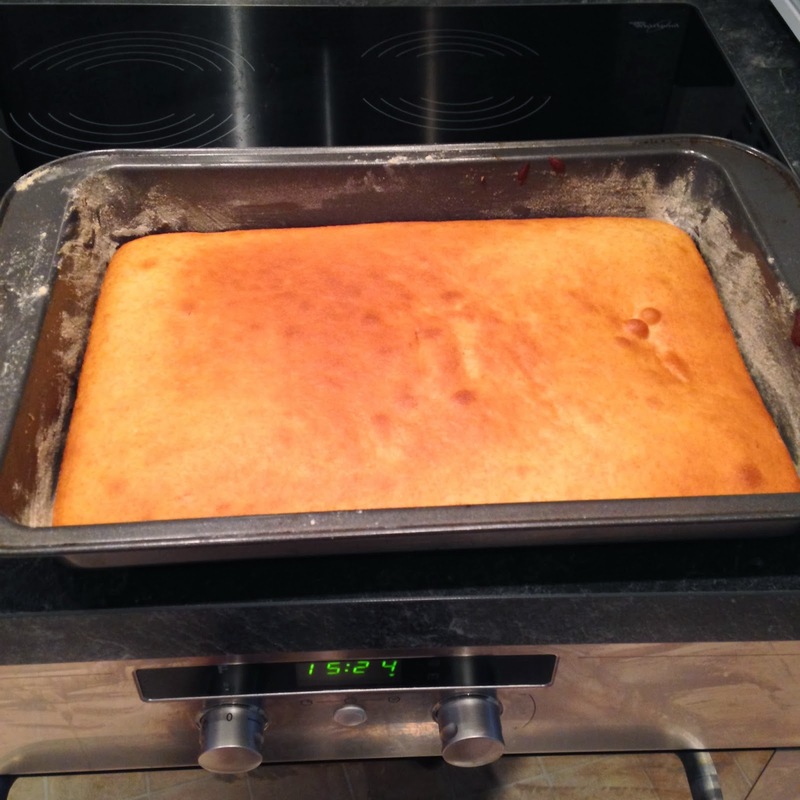 One of my better sponge cakes in fact. 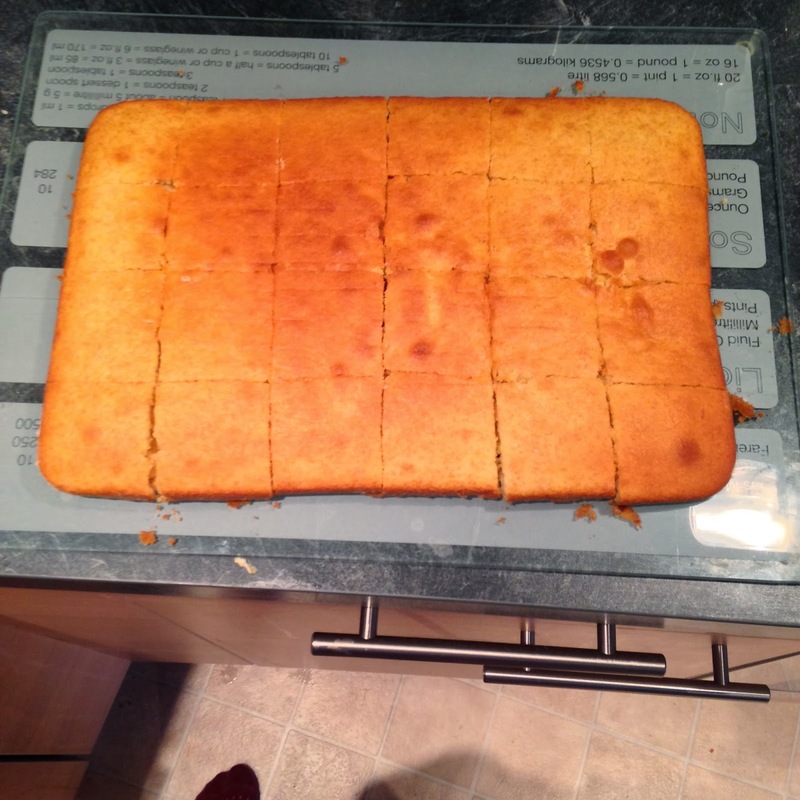 After leaving it to cool down, chop it into 24 pieces. 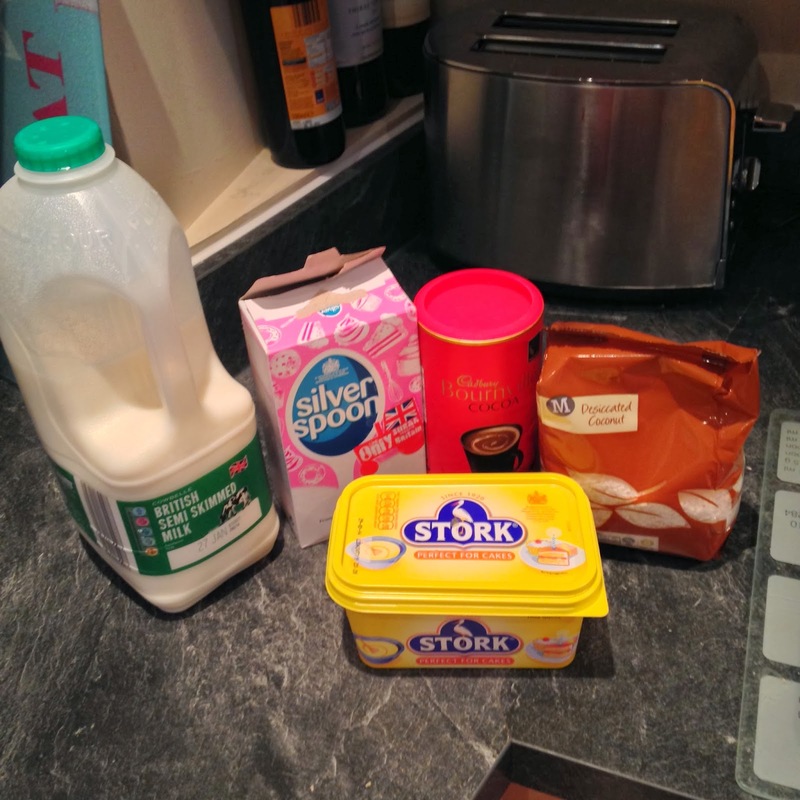 Next lot of ingredients for the icing: milk, icing sugar, butter cocoa powder and coconut. 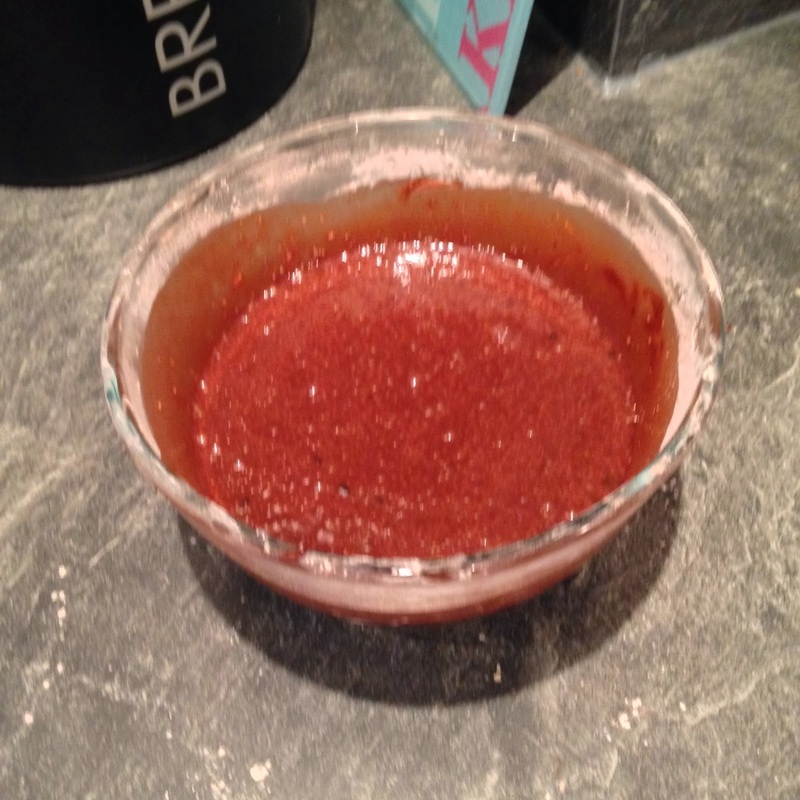 Mix the icing sugar and cocoa powder together. 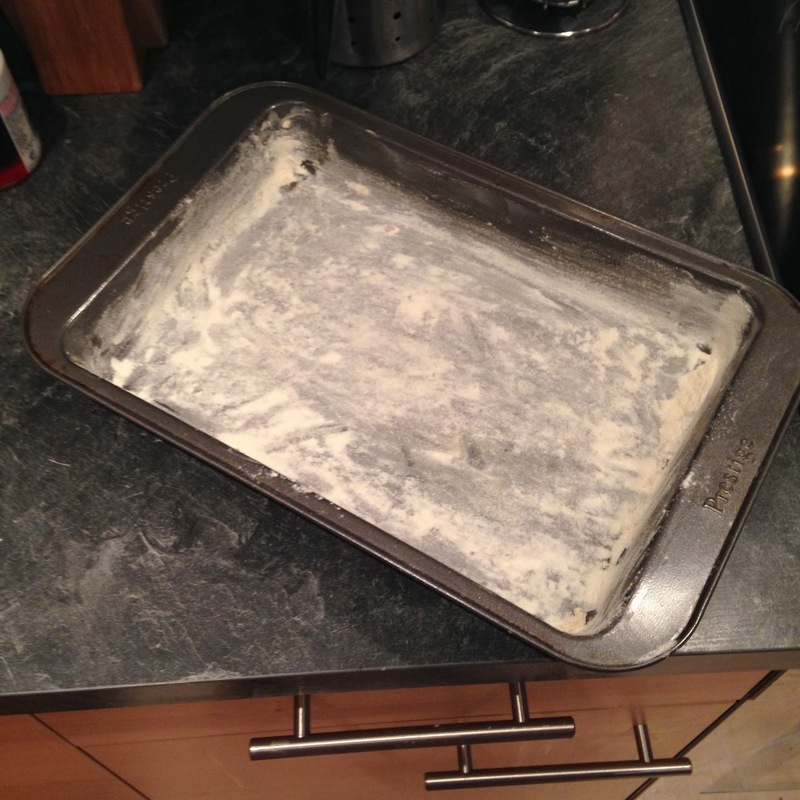 I was supposed to to heat the milk and butter in a saucepan, but had just cleaned the top of the oven, so microwaved instead. Seemed alright to me! 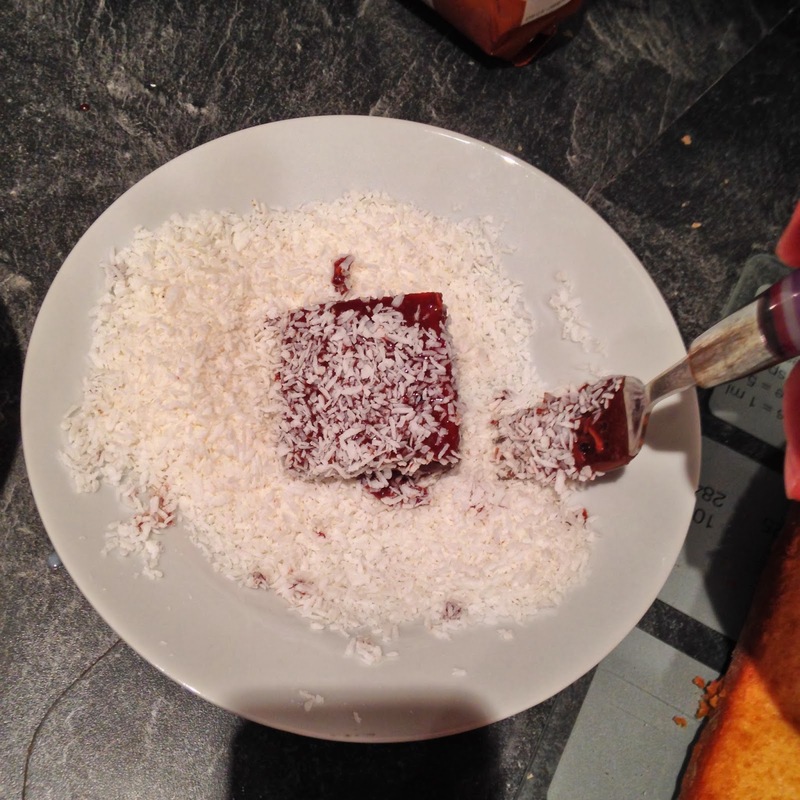 Mixing them together results in gooey chocolatey loveliness (although it was a bit lumpy, probably should have sifted the icing sugar). Had to take a picture of my first finished one. So proud. Bonza. A bit messy to eat (because I didn't give them enough time to set) but otherwise a success!